Sliema had to come from behind to overcome the challenge of Mosta at the Centenary Stadium, on Sunday. 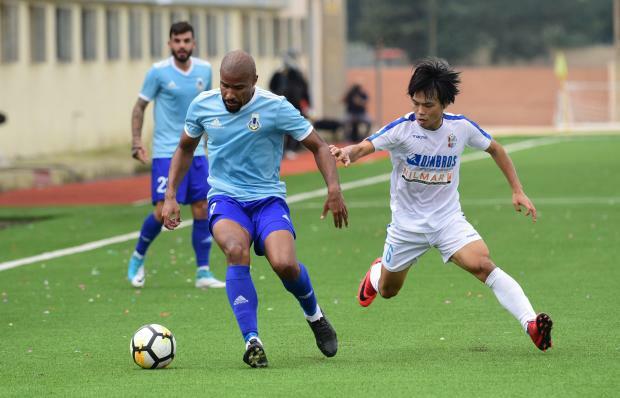 Mosta got off to a hot start as they forged ahead after two minutes. Juri Crisotti found Renan inside the box and the Brazilian striker slotted the ball behind Jake Galea for his second goal of the season. Nonetheless, minutes later Sliema restored parity through Mark Scerri whose attempt from tight angle went straight into the net despite Romeo Romao’s attempt to clear the danger. Buttigieg’s clan started to get more of a foothold in the game and although they struggled to get behind Mosta’s backline, they still threatened with their shooting abilities. Sliema were not to be denied on 69 minutes when Jefferson, celebrating his 24th birthday, converted from the spot after Renan floored Claudio Pani inside the box. Ten minutes from time, Jefferson squandered a golden opportunity to seal the win for the Blues when they awarded a second penalty. However, the Brazilian striker sailed his effort over the bar. Jefferson was named the BOV Player of the match by the journalists.